Speaking of fun, I had a lot of fun listening to this double-EP 12-inch, because how do you not have fun when your face is sandblasted by such gritty guitar and bass tones that you worry about the state of your glasses? (I really don’t want to get new lenses right now.) 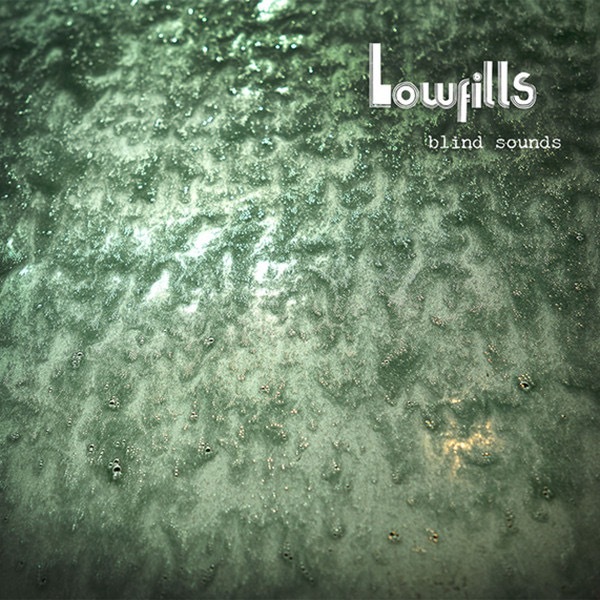 Rawk is the game for Lowfills, and Blind Sounds, their first record in a while (the B-side of the 12-inch is their 2010 self-titled EP thrown on to pad out the vinyl [and thanks for that – it’s just as entertaining]), is scorching, humorous, and world-weary, almost always at the same time. The three songs rocket by in nine minutes, pummeling like a less flashy, more slackery Dinosaur Jr., almost like if Charlie Brown instead of Eeyore fronted that band. Lowfills’ approach is wry and sarcastic, and that goes a long way in dragging the audience along for the ride. Maybe it’s because the band members are all in their forties (I’ll be joining you guys this year, sadly) and exude an educated cynicism inherent in that demographic that they’re able to connect with such real impact. How else are you gonna land a lyric like “I’ve got an alligator hat / I look ridiculous in that” (“Cannonballs”) and make it believable? Somehow Lowfills manage it, and it helps that they have such an amazing video for the song, animated by Rusty Corbit. I mean, that whale! He’s furious! For some reason! Blind, uninhibited rage, played for laughs, coupled with a great song. That’s a winning combination. Check the video for “Cannonballs” here, and flip the record to the B-side for proof that Lowfills were just as good seven years ago as they are today. “Real Americans”! That’s gold, fellas.